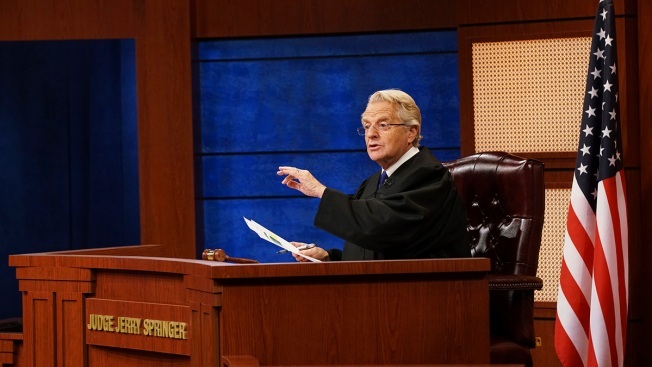 In this undated image provided by NBC shows Jerry Springer in a scene from “Judge Jerry." It’s Tuesday, November 27th – and NBC 6 as the top stories you need to know for the day. The promotion raised more than $300 million dollars for charity last year, and if you are looking for that tax break by the way look into the changes from the new tax law passed last year. How much did you buy yesterday? A lot apparently as it was a record breaking day for online shopping. Adobe Analytics says Cyber Monday sales were in line to hit a record $7.9 billion as of 7pm yesterday. No. 3 – Jerry Spring returning to television in new role. The longtime talk show host will be transitioning into a new role as he is headed to the courtroom for 'judge jerry'. The show will have a similar setup to other court shows, but of course with a dose of 'Springer Wisdom'. Judge Jerry will premiere right here on NBC 6 next fall. You can eat some romaine lettuce if it has a label on it as the tainted stuff comes from central coastal region of north and central California.